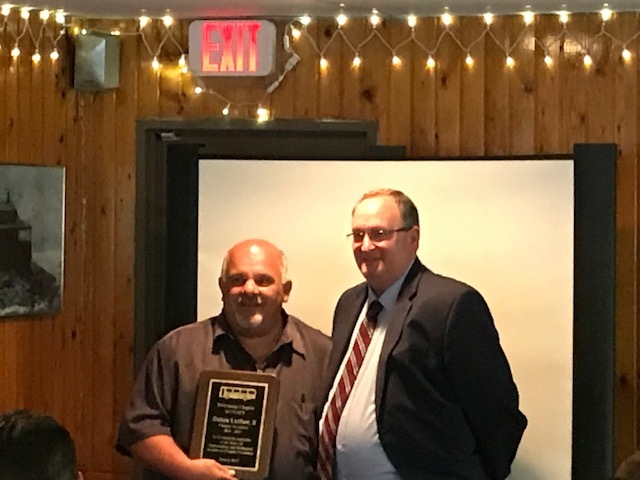 Minisink Valley Central School District Director of Transportation Delos Luther II was recognized for his six years of service as President of the Tri-County Chapter of New York Association for Pupil Transportation (NYAPT) at the chapter’s meeting in Chester, NY on June 6, 2017. 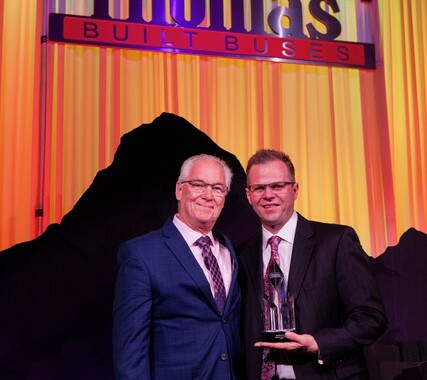 NYAPT Executive Director Peter Manella presented the award to Delos, who has served the Minisink Valley Central School District for almost 11 years. The Minisink Valley Fleet of 92 buses logs more than a million miles annually, safely transporting the district’s children over its 115 square miles.